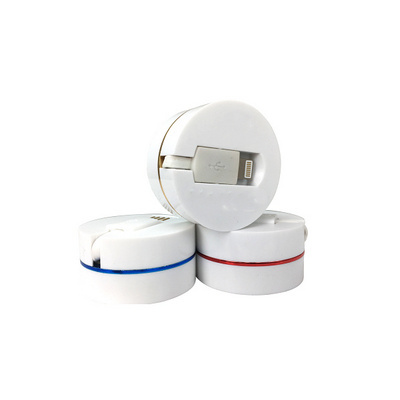 USB 3 in 1 reel style charger - Retractable Reel is 40mm diameter and the length of the cable when fully extended is approx 80cm. Available unprinted and printed. Available in a range of trim colours. ON SALE UNTIL STOCK LAST. Price below is for unprinted - see TP017UV for local UV print.